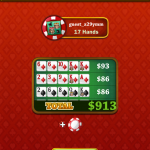 Swipe the Deck ($0.99) by Chillingo Ltd combines match-three gameplay with poker, so players will combine card tiles to make pairs, three of a kind, four of a kind, a flush, a full house, and more. 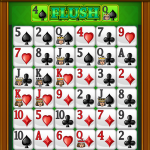 To begin, you will need to connect the game with Facebook or create a guest account. Since I rarely let apps connect to my Facebook account, I went with the guest option, but if you want to challenge Facebook friends, go with that option. 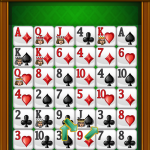 The game opens with a tutorial, so that you can learn the ropes. 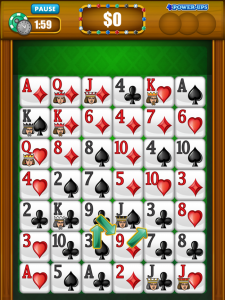 Since this is a typical match-three game, you will slide your finger to match up tiles. If you know how to play poker, you will pick up the rules in no time at all. Don't play poker? Don't worry, it's easy to learn and the game will teach you. You do need to make sure to learn the rules before you start an official game though, because there's no way to access them after the game starts. This is disappointing, because newer players might need a few rounds to master the different moves. 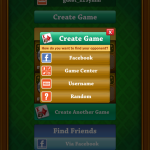 Swipe the Deck is a game that you play with an opponent. 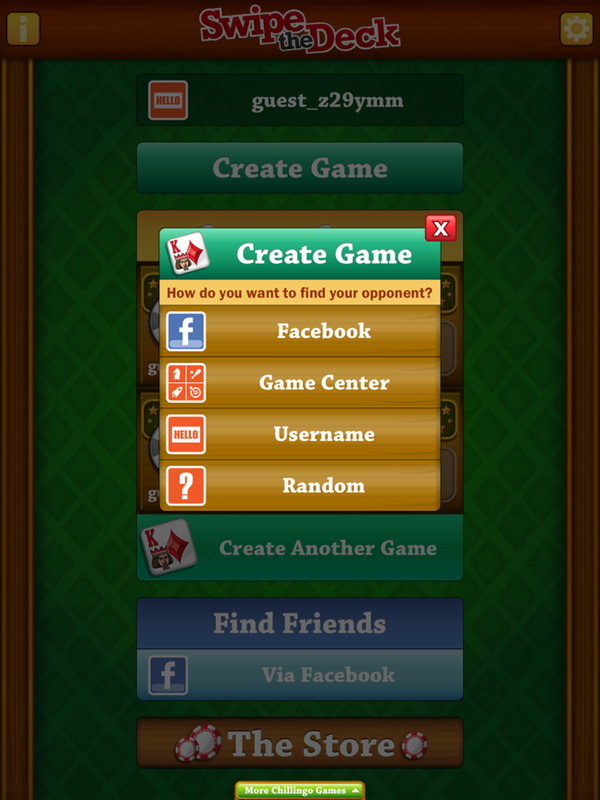 You can select one through Facebook, Game Center, a username, or find a random challenger. 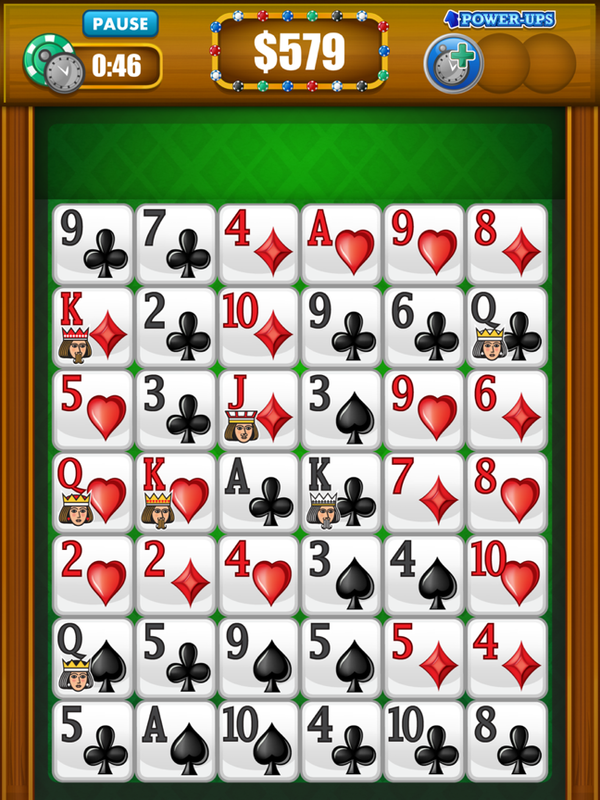 Each game has three rounds and lasts for two minutes. 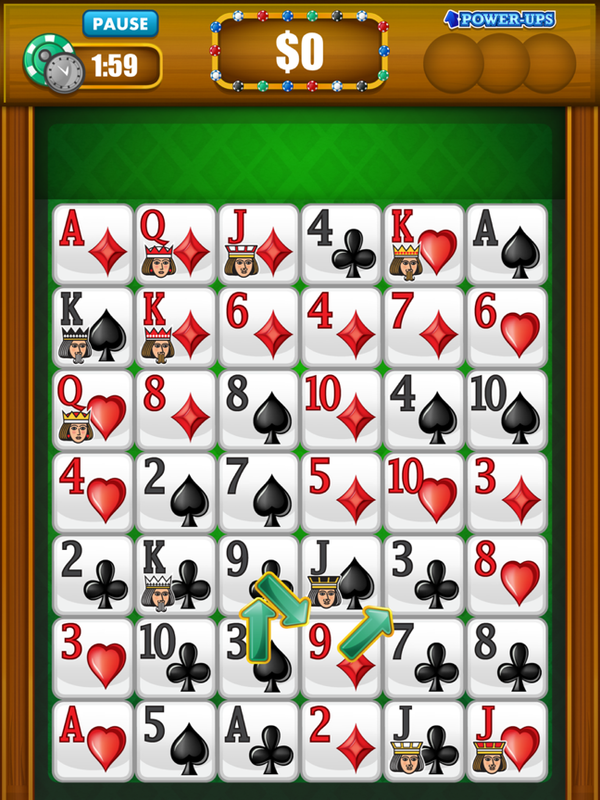 The goal is to get a high score, which is done by making the best possible matches. 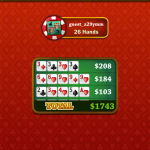 As in poker, high scoring matches will be straights, flushes, and full houses. 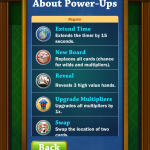 Before each round, you will be able to select a power up, which adds another dimension of fun to the game. 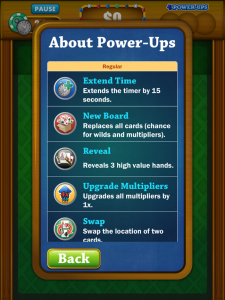 Power ups are designed to help you build more valuable hands, and will do things like extend your time or upgrade multipliers. 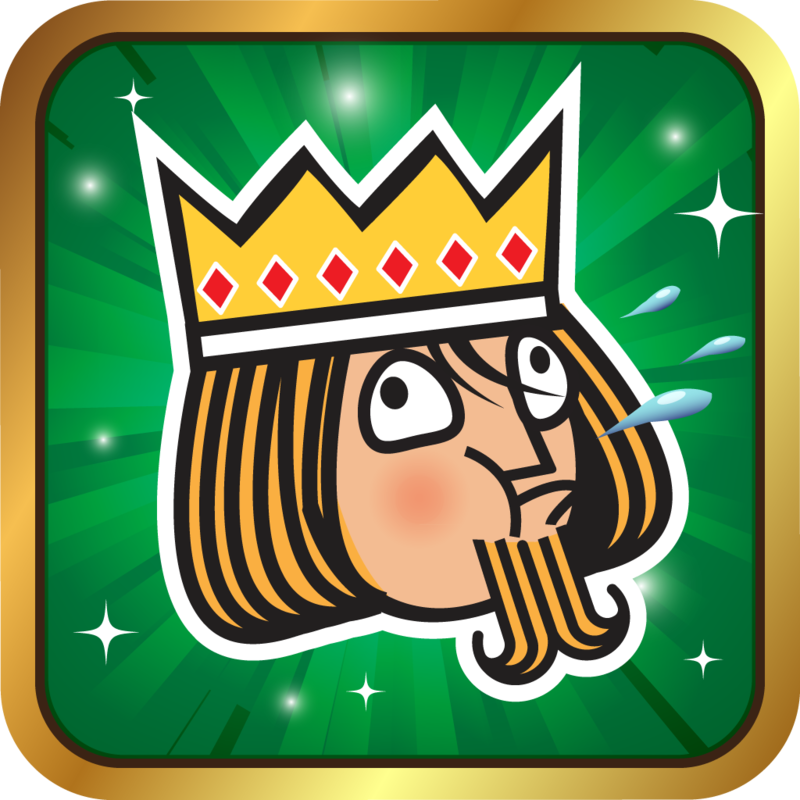 Swipe the Deck is a turn based game, so you will play a round and then wait for your opponent to play a round too. You can have multiple games going at once so you're not waiting to game for too long. 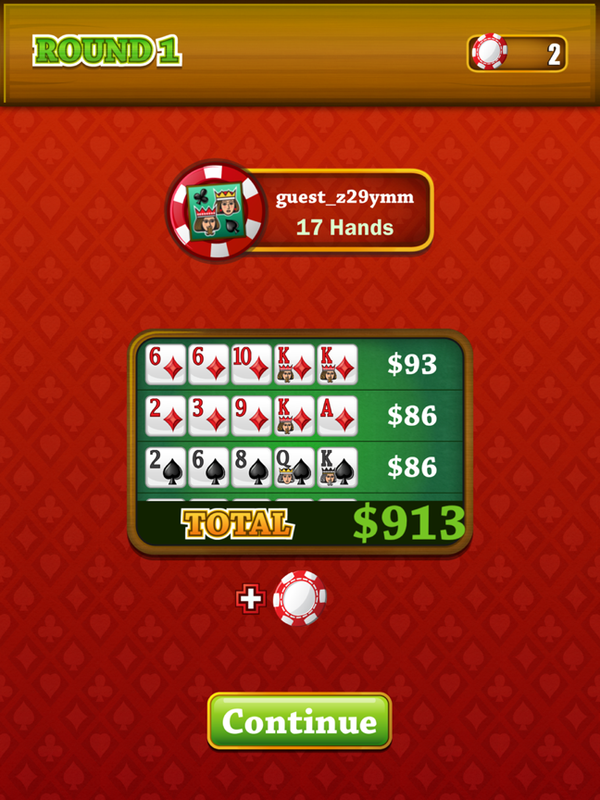 You're objective is to score more points than your opponent in order to earn poker chips. 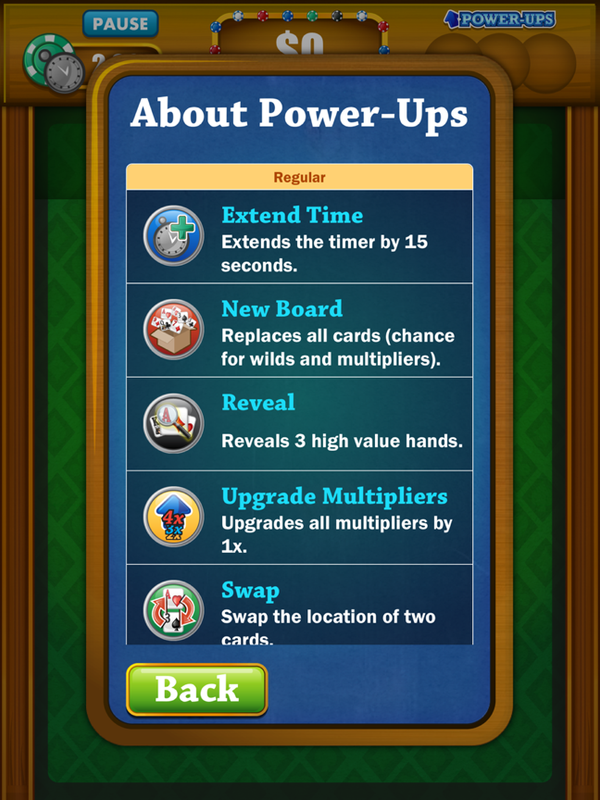 Poker chips are then used to buy power ups, though you can also buy power ups through in-app purchases. 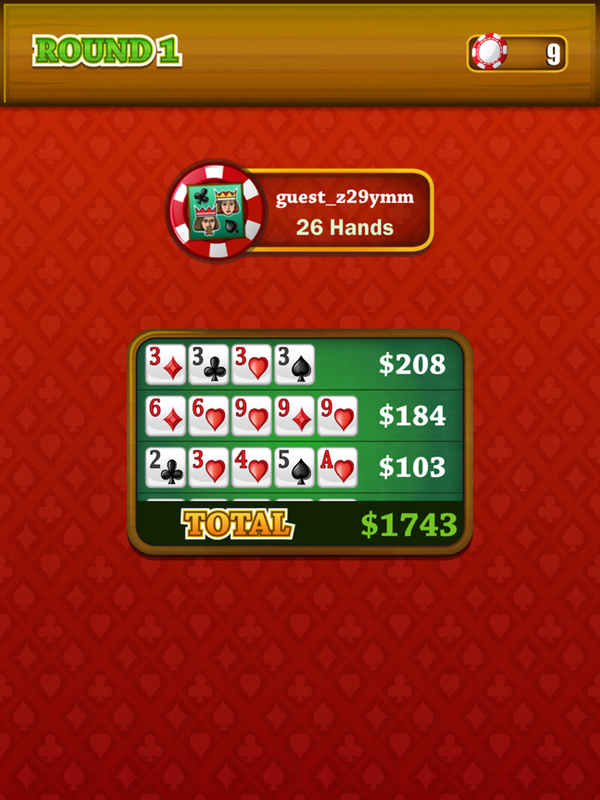 While I liked the general idea of Swipe the Deck, I didn't much care for the two minute timer. 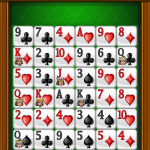 I think this title would work better if you had a set number of moves, because as it is, it just encourages you to frantically match up pairs and flushes while ignoring tougher to spot combinations like straights. You also may want to recruit a friend to play this game with you. Of the five random games that I started, no opponent made a move, but I was still able to have fun and earn achievements. I would really like to see single player gameplay added in the future. The description of the app implies that you can play in single player mode, but it is misleading. 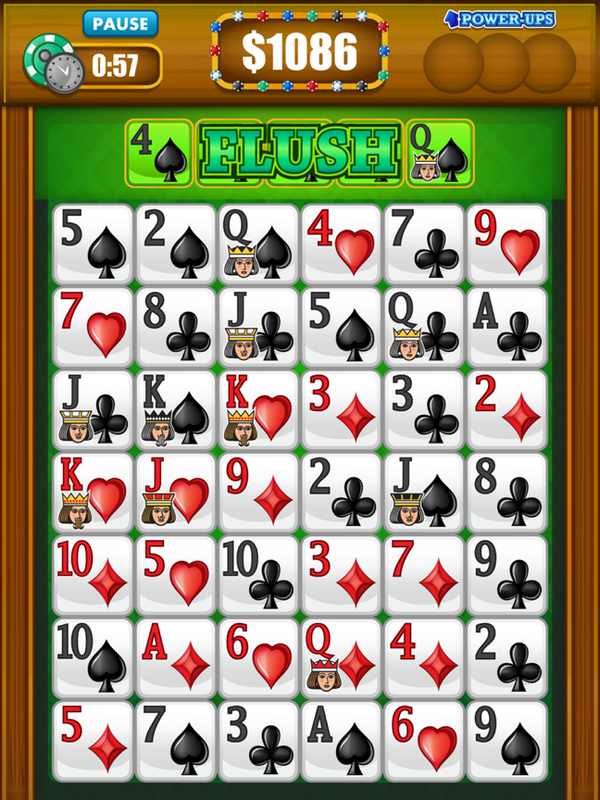 Because of the fast paced gameplay, I feel like Swipe the Deck is oriented towards match-three fans rather than poker fans. If you're a match-three fan looking for a multiplayer game, I'd pick this up, but stay away if its single player gameplay you're craving.